Making money for the things you’re already doing online? It may seem too good to be true, but it’s not! 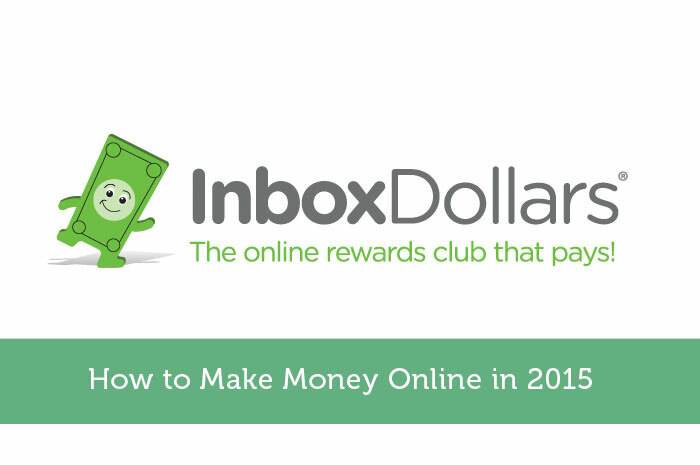 InboxDollars is an online loyalty club that pays you cash for a variety of online activities. No confusing point systems, just request a Visa Cash Card or check once you’re ready to be paid! The more active you are on site, the faster the money adds up. Whether you’re saving for college, putting money towards your rainy day fund, or just want some extra spending money, InboxDollars can help you reach your goals! Completing Offers: Earn cash for completing trial offers, taking advantage of deals, etc. It’s easy and FREE to join; No credit card necessary! Simply fill out a short form, submit the form, then check your email for the confirmation email. After confirming your activation by clicking on the link in the confirmation email, you’ve successfully become a member of InboxDollars! In addition to being able to access all earning opportunities, you will also notice that $5.00 will automatically be credited into your account to help get you started! Want your friends to check out how great InboxDollars is? When you tell others about InboxDollars, make sure to go through the “Refer Friends” tab on InboxDollars.com. If you go through that tab, you will earn 10% of the cash earned by your referrals! InboxDollars has been around for years and is accredited by the BBB with a rating of A+. This is a legitimate site and I would recommend it to anyone who is looking to make some extra cash! I use a similar program online and it’s fun to earn a little extra money. I’ll take a look, thanks! Seems fishy. How much money have you made off inboxdollars. These are some simple ideas to help people get started making money online. Thanks for sharing! Is Inbox Dollars available for people outside of the US to participate? I find that similar Australian-based rewards sites are terrible!! Thanks a lot for sharing all of these! I have been taking surveys online since last year and I earned a bit from it. Nice! I use Swagbucks myself. They have a very similar program. I’ll definitely check this out though. Nice little write up on yet another way to make a little extra dough. Ill have to check them out and I’ll also look into swagbucks. Awesome! Great list for max benefit. I have make $120 last month by taking surveys. Your blog guide me a lot. Thanks. Making money through blogging requires a carefully thought out topic. If you have an existing blog with a small audience, be honest when considering whether the topic has broad appeal that isn’t already covered by other established bloggers. If it does, great! Otherwise, there’s nothing wrong with starting a second blog that will be more successful in attracting an audience, marketing itself, and making money through a variety of methods described below. I agree with you making money with inboxdollar but the biggest problem is that the inboxdollar does not pay enough money may be if you need to do this for funny or a spare time you can ask why? because if there is any task to perform you will be notified in your email inbox.Am a member and i receive email notifications once in a week or two weeks and its payment is about $0.5 to $1.5.Actually if you need to do for funny or spare time is nice but if you need to create a passive income try something else.